Africa is one of the few destinations across the globe that offers a rich variety of flora and fauna making it one of the most loved holiday destinations for nature lovers. There are countless safari operators across the continent that offers visitors a chance to experience the natural beauty and wildlife at close quarters in a safe and secure manner. However, in order to enjoy a perfect African Safari vacation it is advisable to follow the below mentioned guidelines. It is important to remember that Africa is a vast continent and the wildlife safaris are spread in various regions of the continent. 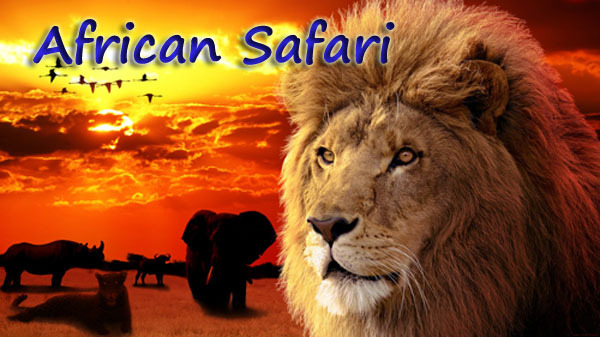 As such it is better to do a thorough research about the various safari tours available and choose the one that suits your schedule the best. Rather than opting to explore the safari on your own, it is advisable to book a tour package with a renowned operator so that you are not only able to enjoy your trip in a safe manner but also gain relevant information about the sights you see. While booking your safari vacation, make sure you double check the facilities provided by the tour operators. In case your trip is planned for several days, seek a copy of the itinerary and check out the various sites that you would be visiting online to get an idea about whether you are getting good value for your money. Make sure you learn about the best time to visit various safari destinations before making the bookings so that you do not end up having a disappointing experience. Also check the type of clothing that you should wear as otherwise you might end up facing health issues due to inappropriate attire. Gain information about the common diseases prevalent in the region you intend to visit and make sure you take appropriate medication for the same. Also learn about any preventive measure stop avoid becoming the victim of such diseases and follow them strictly.